I can’t believe I’m being spammed by the home view of the app every time I open it. I’ve unchecked display homeview once per day. In spite of being unchecked I’m being forced back anyway. This started a few updates ago. 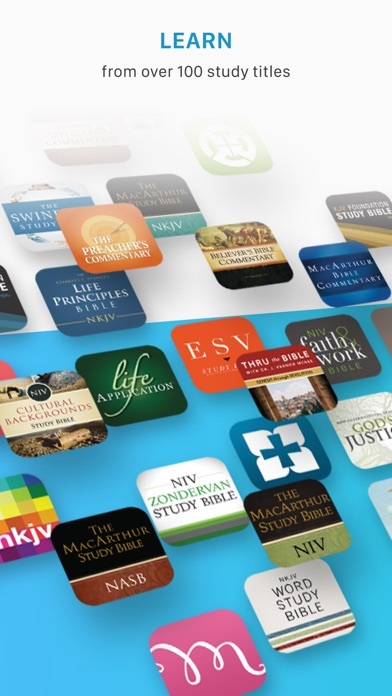 It’s being done intentionally to promote the devotional and other in-app content. I only want my bible to behave as a bible. I’m Missing scriptures during service because of the home view loading time. The church has moved on to reading and I’ve forgotten the passage waiting for the crap content to load. Fix this intentional home view return trap. Thankful for this app that allows me to read my bible anywhere. I originally had the app “Stong’s with NASB” and a few months ago I was told to update to this Tecarta app, which I did, expecting the options and functions to be at least the same if not more and better. 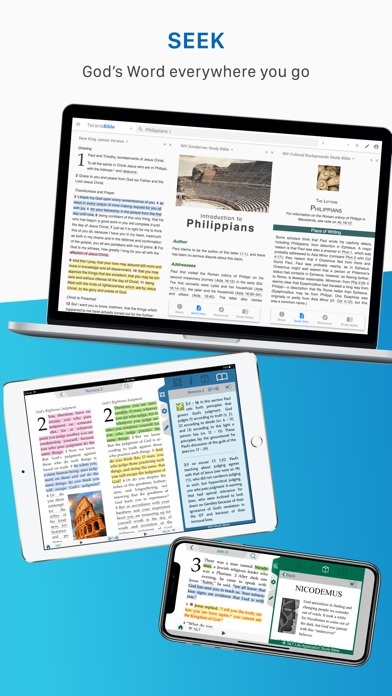 While the Bible options are good, the main fuction I use is the Strong’s Concordance that came built into the original app... this new app does not seem to have a concordance and does not have the option to buy one, and is not included when I “Restore Purchases.” Is there no more concordance available? If not, I am disappointed and feel misled since the new app is completely different from the original one I purchased. Love that I can pull it up on any device that I am using to read on the go. 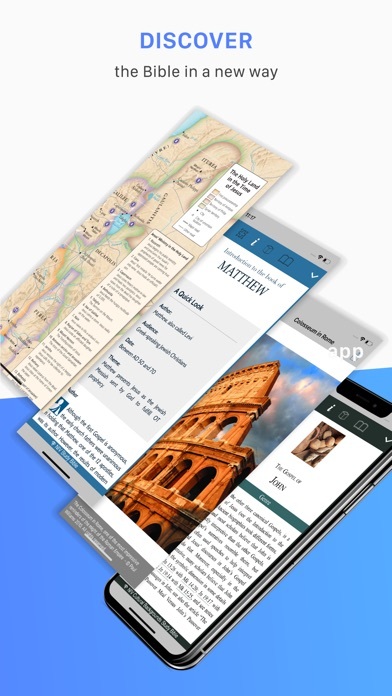 I have used many bible apps. This is by far the best one. I love the the fact that the app lets you see cross-reference scriptures directly within a verse without ever leaving the verse. Get this app! I purchased two bibles from this company; both were simple, easy to access and not frustrating to use. Then they changed the product. 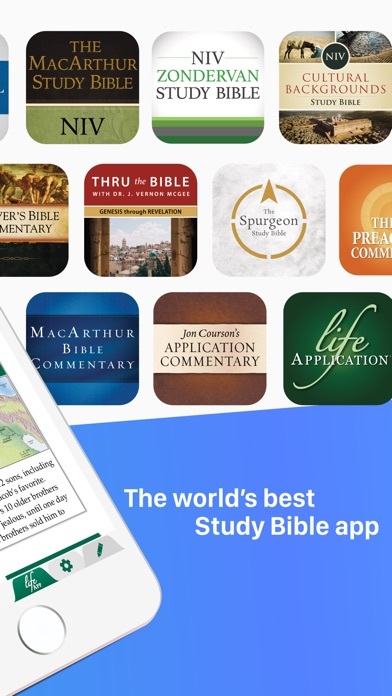 Instead of a quickly accessible Bible it is now a bloated app packed with foolishness. I paid for one item and now have something completely different. It’s the bait a switch. Dishonest. 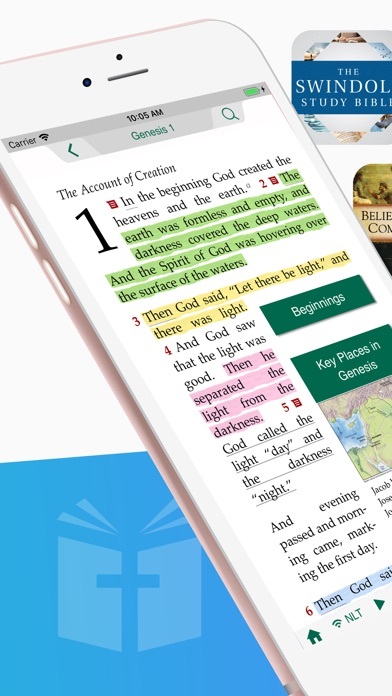 I originally got this bible app because it was the only bible at that time that did “offline” right! Now, it’s become my go-to for the multiple bibles that I reference both in English and Spanish! Everything I need in one place! 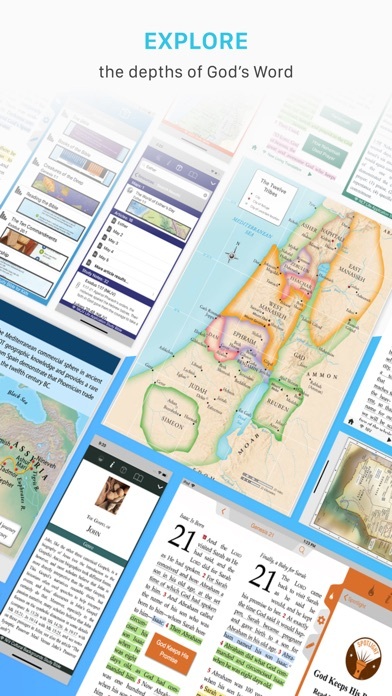 Thank you God for Tecarta! Too many hoops to jump through. I guess all is lost.